Today marks the Annual Met Gala (or Met Ball) celebrated each year at the Metropolitan Museum of Art in NYC. The event highlights the Costume Institute, which this year is opening the Anna Wintour Costume Center. The Met Ball is THE fashion event of the year! And this year all of us at SPARKLE are THRILLED that Charles James is being celebrated for his glamorous work and impact on fashion design. He not only changed the way women’s formal wear was constructed, but he influenced everyone from Christian Dior to Balenciaga. Though he was not a household name as his contemporaries were, his dedication to meticulous construction and design is revered by so many in the fashion industry. And his gowns became a strong influence in the world of bridal. Because SPARKLE bridal couture is solely dedicated to sizes 14-30, we know a thing or two about construction. Our gown HAVE to be well-supported and constructed to give all our curvy brides a proportioned shape and hourglass figure. We weep when we see dresses that are flabby, bulky and a hot-mess! We believe curvy women deserve tailored gowns that are comfortable, stylish and extremely well constructed. This is why we LOVE LOVE LOVE what Charles James did for fashion and how he has influenced our gown collection. 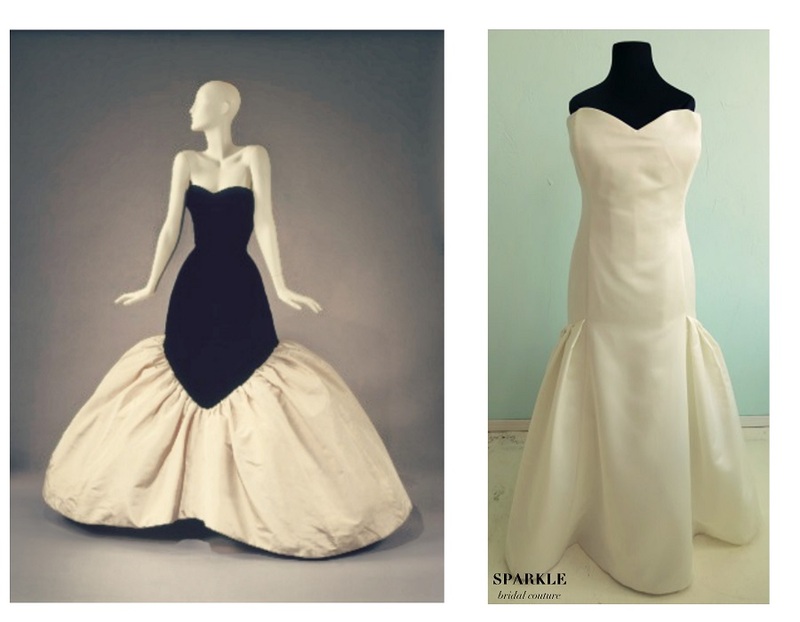 Check out the photos below to see how some of our SPARKLE gowns are reflective of Charles James designs. We’re celebrating Charles James all this month as we kick off our May window display with the help of Audrey Chaney of Botanica Floral and Event Design and Photographer Allison Stahl. 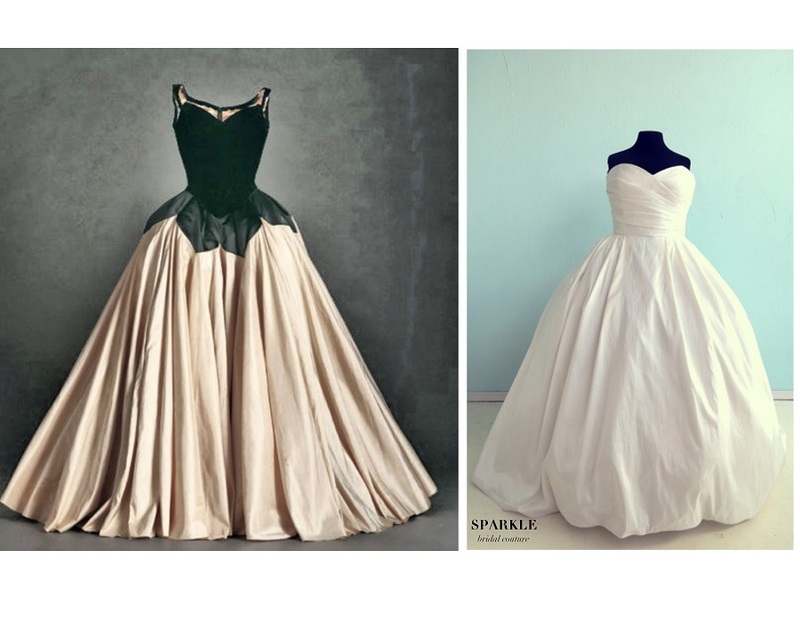 All throughout May on our blog, Facebook, Instagram and Twitter, we’ll be bringing you videos, photos and tips on how you can add a touch of Charles James SPARKLE to your wedding day so you can revive glamor and help bring the ballgown back! First off, here’s the photo that inspired it all! 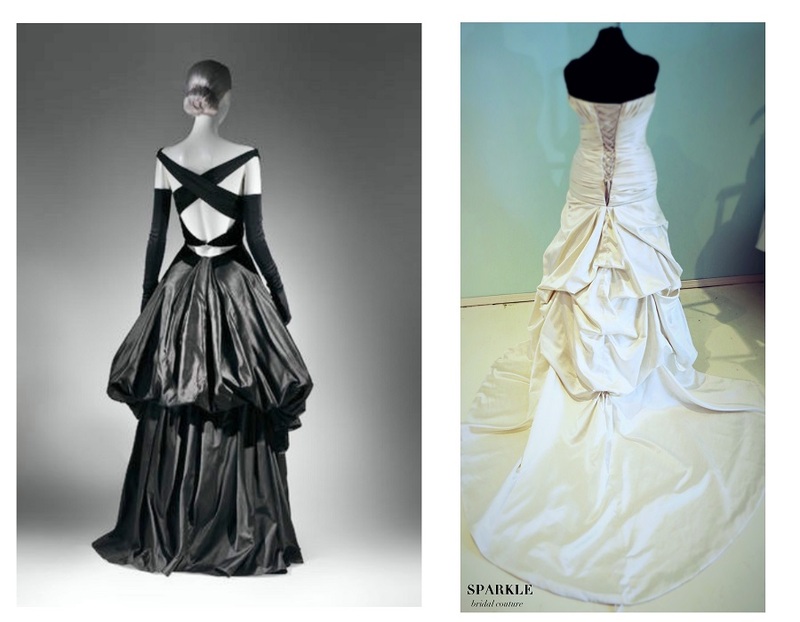 Some of our gowns that have Charles James influence…can you see the connection? SPARKLE Stylist Hilari thought this gown had Charles James all over it! The pick-up skirt and corset back makes this SPARKLE gown a glamor girl’s dream! So excited ballgowns are back! Thanks to Charles James he mastered the full skirt to accentuate a woman’s waist. Here’s SPARKLE’s version from our I DO! Collection. 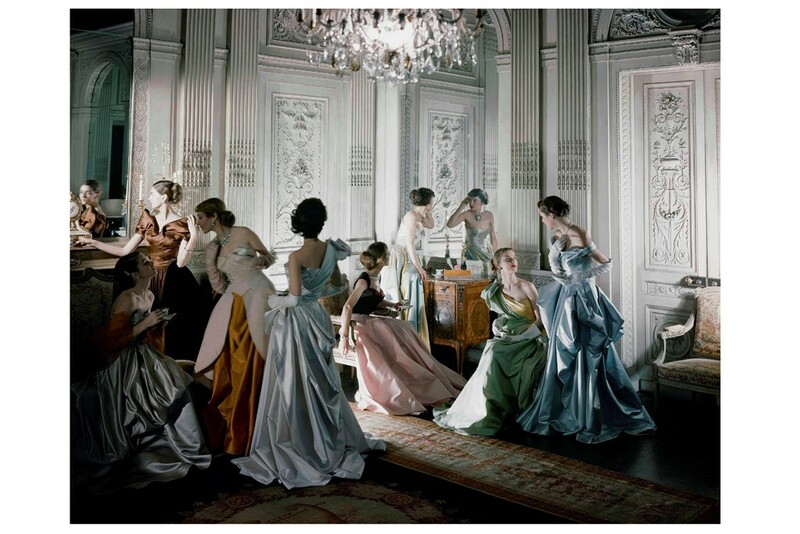 The Charles James: Beyond Fashion exhibit will be at the Metropolitan Museum of Art in NYC May 8 – August 10, 2014. Lucky you can see some of his influences at our bridal showroom!